Sunbae actress Han Jimin praises the “new actor” Park Yoochun who began acting in 2010 in the KBS2TV drama “Sungkyunkwan Scandal”. This is also respectful praise for the actor that acted in the role of a person that crossed 300 years into the future called LeeGak in the SBSK drama “Rooftop Prince”, which finished airing on the 24th of last month. Park Yoochun is part of the 3 member group JYJ, this is his third time acting in a drama. From his first drama “Sungkyunkwan Scandal”, he successfully earned the title of “new idol born actor” for his acting skills, and through “Rooftop Prince” he had many times received praises such as “having the power to lead the whole drama”. In the full hour of the interview, Park Yoochun recalled the many things he has experienced through this drama and revealed his excited smile. After filming under the sun, his face was tanned, and suddenly revealing his white teeth, it was a memorable moment. He was really like an actor when he said “through this work, I really understood what it is like acting”. Through “Rooftop Prince” Park Yoochun stepped to a higher level, we will try to point out all the keywords related to his acting. 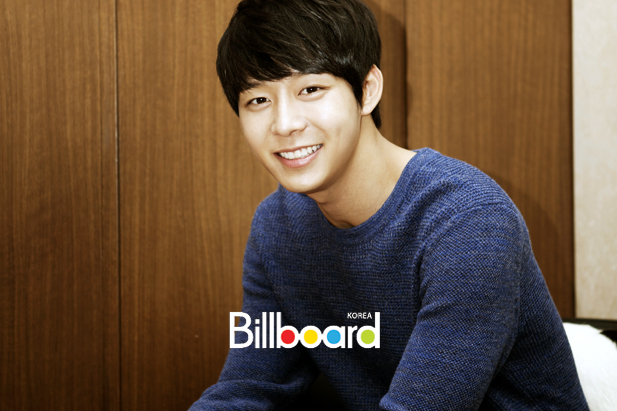 “Rooftop Prince” for Yoochun as an actor of only 3 years, is a pretty hard topic. Because he had to act out a past to present Time slip, and act it out naturally, this is the important part of this drama. But Lee Gak is a character that travels back and forth from past and present, so he has to keep a strict tone and action, but slowly change, as the drama slowly progresses, to keep a balanced feeling for the drama, to be able to do this is not easy. When Park Yoochun filmed this, there was a time he couldn’t get the feeling. At this time, Lee Gak’s flowerboy trio gave him a lot of strength. The funny but also charismatic characters of the flowerboy trio, they were like medicine that gave Lee Gak added strength. Park Yoochun also didn’t forget to thank them. He was also worried about his scenes with actress Han Jimin in the beginning. When thinking back, from the first time they meet, eating noodles in a convenience store, he would feel awkward. But because of Han Jimin’s personality, I was able to easily open my heart. Park Yoochun expressed: “I feel like I have luck with actresses,” to be able to meet Han Jimin, it could be said as one of the successes he got out of this drama. During the time Park Yoochun focused on “Rooftop Prince”, JYJ’s Kim Junsu released his solo album. This album was ranked 10th on America’s Billboard worldwide rankings, and took first place in Japan’s iTunes rankings. Him and Kim Junsu are members of the same group that stood on the same stage, and is also competitors as singers, is Yoochun not jealous of him?